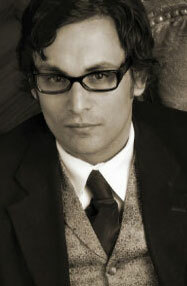 Simon Van Booy likes to write about the interconnectedness of life. Small acts by one person can dramatically impact the life of another, and neither person may even be aware of the connection. But that does not make the connection any less important. Recognizing that we are connected to others, and that those connections are important, should make us more conscious of how we live our lives. 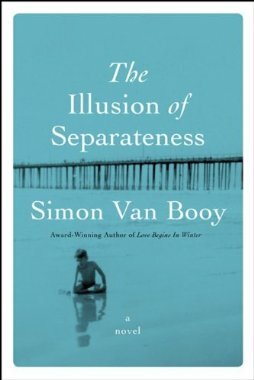 In this most recent novel, “The Illusion of Separateness,” (slated for a June release) Van Booy goes directly after this theme, which he has raised in earlier works. This time we bounce back between World War II, 1968, and the present day, between France, and England, and the United States. We meet John, a recently married American pilot shot down over France who then forgets his past; Mr. Hugo, the man with a half-flattened face who chooses to forget his past; Amelisa, a blind woman who creates ways for the blind to experience museum displays, including one with the replica of a plane her grandfather John flew. There are more: Martin, an elderly caretaker at a home for the elderly, who is with the new resident, Mr. Hugo, when he dies. In classic van Booy style, the final chapter ties around to the first, and we find that these two have a connection neither could imagine. If the book is frustrating at all, it is in the circling of the truth as you wait for Van Booy to connect the stories. You know he will, but he demands patience from the reader as he explores everyone’s story. However, what we see in this circling is that lives exist without the connections being known. We could be the ones living those lives, never aware of how we are connected to others, but still moving froward because of those connections. This is Van Booy’s second novel, and he also has two collections of short stories out (as well as several other projects). His short story background is clear in this novel, where many chapters could stand alone. As the novel unfolds, the connections begin the characters become clearer. But Van Booy avoids any Hollywood style, clunky unveiling of the truth. In fact, the reader is privy to connections the characters never make themselves. While this seems like a setup for a depressing novel, Van Booy is one of the most hopeful writers around. His other works have explored the theme of love, and he is not afraid to see love as the basis of a good life. Too often, writers focus on love as a setup for failure. But Van Booy appeals to the romantics in the world in that he believes in love. Van Booy also separates himself from other writers in that he takes children seriously. In one of his previous short stories we see the love of children as the strongest of bonds, and he has not lost that awe of children’s capacity to love and feel. This is a line which could shoot down most novels, but in Van Booy’s hands, these lines work. He drops them throughout the novel and they flow naturally from the characters themselves. For Van Booy, every life has a story, and every story is important. That alone makes him unique among novelists, and makes his work worth reading. You can learn more about Van Booy at his website. This entry was posted in Novel and tagged fiction, illusion of separateness, love, novel, simon van booy by derekemerson. Bookmark the permalink.